Dramatic events over the past few weeks were the subject of much discussion at the annual meeting of the World Economic Forum last week. Dramatic events over the past few weeks ­– from the protests in the Middle East to the repeated disclosures by WikiLeaks - were the subject of much discussion at the annual meeting of the World Economic Forum last week and offer lessons and insight for those of us in corporate and brand communications. Check the unemployment stats for just about any country and you'll find the percentage unemployed between 18 and 25 is about double the national average. This is true in the U.S., most of Europe, and the Middle East – which is currently being torn apart. When the pain and hopelessness of millions entering adulthood collides with the mobilizing power of social technologies you get the Jasmine Revolution in Tunisia and the youth movement in Egypt. In Davos last week, the organizers were quick to adjust their schedule in light of events in the Middle East. They quickly organized a special session on Egypt and Tunisia at which I was able to hear first-hand from one of the young organizers of the revolution in Tunisia. Yassine Brahim was one of the people actively involved in the online campaign and now, recognizing his role and influence, he is the newly appointed Minister of Transportation and Infrastructure. During the session, we gained an inside view of the "formula" for regime change spreading across the Middle East. Social networks have enabled a generation of frustrated individuals to finally connect and quickly mobilize opinion and massive rallies with only hours of notice. Even when the government shuts the Internet down they use texting to convene and continue the pressure. We already know that any previously isolated or potentially dissatisfied stakeholders (customer, employee, investor, etc.) can now be connected fully, able, and willing to mobilize with lightening speed. We also must be cognizant that they may be part of a group that feels burned by economic conditions and they may be willing to go to extreme lengths to make their point. Part II: How ready is your organization for a WikiLeak? Twenty years ago those of us in the corporate reputation business feared hearing "60 Minutes is on the line." Perhaps the 2011 equivalent is "WikiLeaks is about to disclose a year's worth of internal e-mails." A session in Davos titled "The WikiLeaks Dilemma" provided thoughtful perspective and advice for corporations and brands. One panelist, David Kennedy, faculty director of the Institute for Global Law and Policy and a professor at Harvard Law School, suggested we should be clear that there are major benefits of transparency, foremost among them that it encourages and enforces responsibility. But he also asserted that there are equally important benefits of confidentiality ­- especially in the corporate world - including innovation, development, and change. 1. Seriously consider what must be kept confidential. 2. Manage in the expectation of a major leak. 3. If it happens, get out in front of the leak as soon as you can with action and perspective. 4. Keep the gap between the public and private conversations as close as you can. The era of radical transparency and instant mobilization is upon us and, as with every other sweeping change in society and communications, it's important for us as counselors to be ready to advise management on the implications. 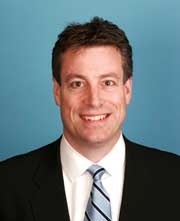 Rob Flaherty is senior partner and president of Ketchum.